It's been a while since I shared a few of my high-end discoveries. I have a couple of exciting launches to share with you guys so let's get into it. Charlotte Tilbury recently launched a whole line of beauty filters. Including these eyeshadows. 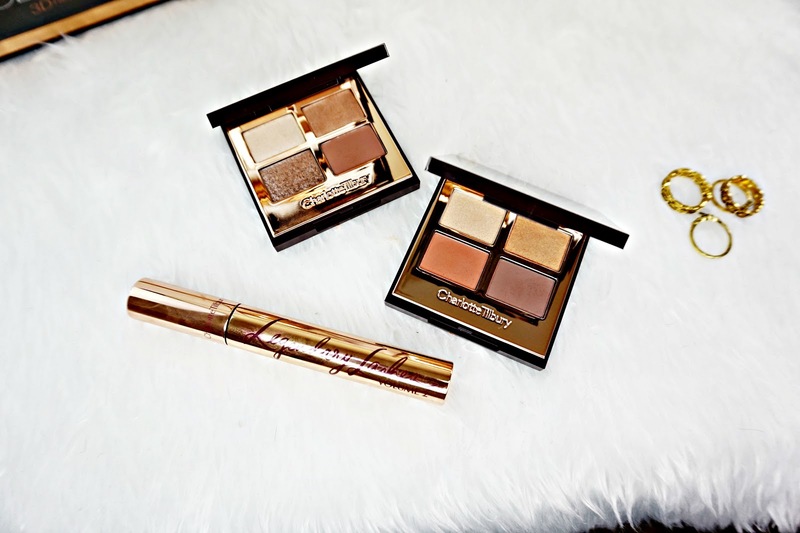 I've never tried Charlotte Tilbury eyeshadows before and I'm really impressed. I have two quads TRANSFORMEYES, which has Copper hues and warm tones and EXAGGEREYES, which is slightly cooler and more of an everyday palette. Both palettes have 2 shimmer shades and two matte shades. Which all compliment each other perfectly. The formula of the mattes is really good. They are so buttery, pigmented and so easy to blend. I've had no problem with longevity of the shadows. Overall, I'm really impressed. Alongside the eyeshadows Charlotte also launched this Legendary Lashes Volume 2 mascara. Which is a reformulated version of the original Legendary Lashes. I actually really liked the original mascara, it did smudge on me slightly but I loved the finish so much I could look past it. But I'm pleased to report this mascara has the same effect as the original but is does not smudge at all! It adds amazing length and volume, without clumping up. It has a large, classic wand style brush which works really well in actually applying the mascara to lashes. I think I have found my new favourite mascara! If Huda is good at anything it's marketing, which is the whole reason I brought this palette. Everywhere I looked people where using and raving about Huda's highlighters so I caved and brought this palette in the shade Bronze Sands edition. But this isn't like your regular highlighter palette this is designed to highlight all areas of your face. These are a dark bronzy shade to go over contour, but don't be afraid this doesn't look like a highlighter when it's applied, it just gives my contour a bit of dimension and gives a bit more life to it. There's also a shade to go over blush, which works in the same way as the bronze shade. It also contains a cream shade to apply before the regular highlighter, which also comes in the palette. I love that this just isn't 4 highlighter shades like most palettes. I actually get use out of all the shades. Although, admittedly I don't always use the cream shade. It was only a matter of time before I caved and brought this palette. I think I held out pretty well, until one day on a whim I brought it. And I couldn't be happy. All the shades are warm toned, with a good mix of mattes and shimmers. The matte formula is amazing, these practically take no blending but the pigmentation is still there. The shimmers really pack a punch too. 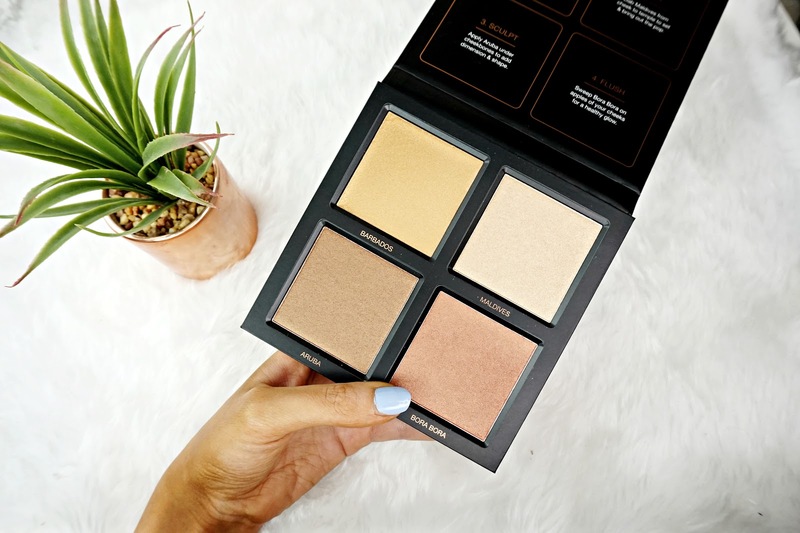 If you're into warm tones, you need this palette! I was instantly wowed by this Pureology shampoo and conditioner! 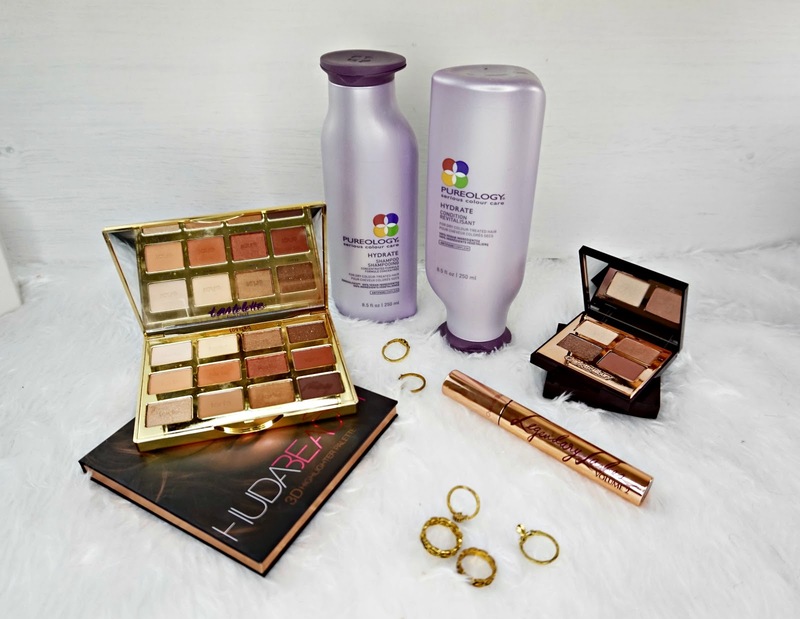 I have the Hydrate range and boy are these hydrating! The shampoo does a really good job at deeply cleansing the hair but without stripping it. It smells of Mint and gives the scalp and lovely cool feeling. It leaves my hair with that salon fresh feeling which I love. The conditioner is deeply hydrating. I like to leave this on for around 5 minutes, once removing my hair instantly feels softer. It's also a lot easier to brush and manage. It doesn't wiegh my hair down either. Once my hair drys the frizz is definitely reduced and my hair is so shiny. I really can't recommend these enough. There are my high-end discoveries I wanted to share with you guys.